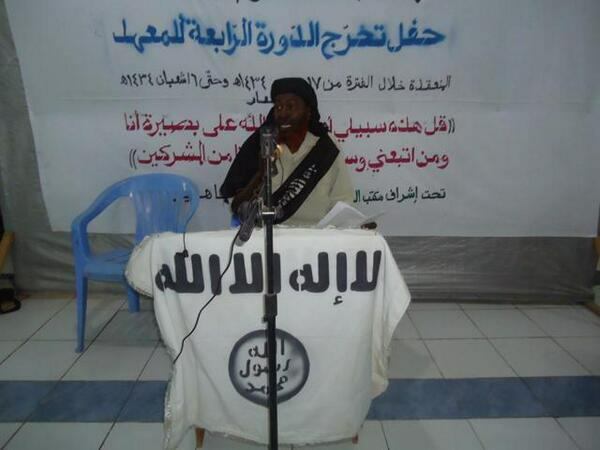 Shabaab claimed that Saleh Noh Mohamed, a former Somali Member of Parliament (MP) who defected to Shabaab in 2010, took part in yesterday’s suicide attack near an African Union (AU) base at the Mogadishu airport. The attack left 13 people dead and wounded 19 others wounded. On the Shahada News (a Shabaab outlet) Telegram account, the jihadist group said that “Saleh Noh was one of the suicide bombers that targeted a base in Mogadishu. He was formerly a deputy in parliament.” Radio Andalus, one of Shabaab’s radio stations and media outlets in Somalia, later confirmed this report saying that Noh was one of the drivers of yesterday’s double suicide car bombing on the AU base. Noh was originally an MP in the Transitional National Government and its successor the Transitional Federal Government of Somalia from 2000 to 2010, according to Somali media. However, in 2010, he publicly defected to Shabaab citing the government’s failure to enact Sharia as his reason. Shabaab also released a photo of Noh (seen above) at a Sharia school ran by the al Qaeda branch in 2013. Shabaab continues to demonstrate that, despite a large presence of African Union forces, it retains the ability to strike high-security areas. Since 2014, Shabaab has attacked the parliament, the president’s compound, and a high security intelligence headquarters, as well as numerous hotels where government officials meet. In June 2013, a Shabaab team struck at the United Nations Development Program (UNDP) compound in Mogadishu; several UNDP employees were killed and the jihadist group briefly took over the compound. And in 2010, Shabaab was able to launch a suicide assault on an African Union medical clinic in the Mogadishu airport. The suicid attack in Mogadishu outside the UN Mine Action Service indicates the high level of insecurity in Somalia in generally, in Mogadishu in peculiar.Even if UASOM Troops repulsed Al Shabaab as soon as 2012 from Mogadishu they can still hardly control the town. NISA and SNA made really progress and regularly are seizing cars with explosive devices. In the recent past Al Shabaab attacked several hotels but did not managed to enter in any military Camp even using suicide-car. We should notice that the real target of the attack is unclear as far as in this aera are standing many Camps, offices and hotels. The first suicide-car exploded before reaching the Gate to enter UA Camp and UN Offices. The second suicide-car exploded at a Somalian Police check-point not far from the Madina Gate at Ugandan Camp. Most of the casualties are civilians and policemen. In spite of the number of casualties it seems this attack failed so no gunmen attempt to enter the military Camp.